INVESTOR ALERT! 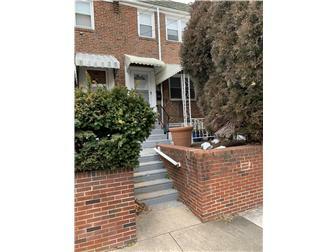 Don't miss your opportunity to own this great rental investment property in Wilmington. Currently leased for $980/month, this 3 bedroom, 1 bathroom home practically pays for itself! Featuring an inviting all-brick front porch and exterior as well as a 1 car carport in the back for off-street parking, this home is perfect for anyone looking for a rental property that practically rents itself! Close to major routes including 95, 495, 202 and 13, this opportunity won't last long! Book your tour today!